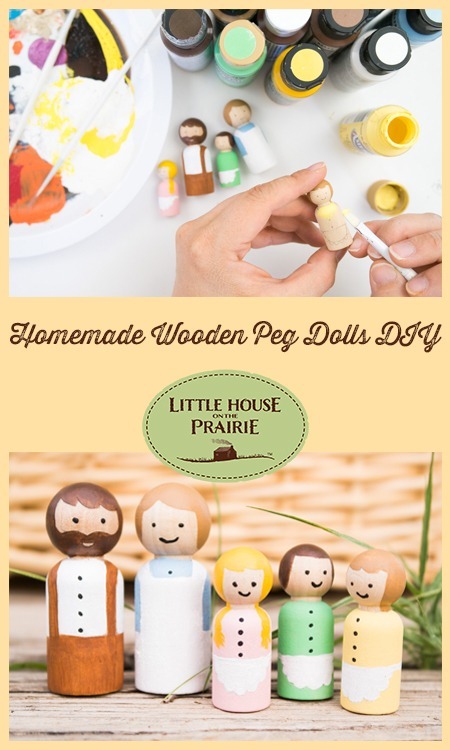 There is something timeless and quaint about homemade peg dolls. With no moving parts or batteries, they’re the perfect toy for the fully imaginative play that is so important in early childhood. 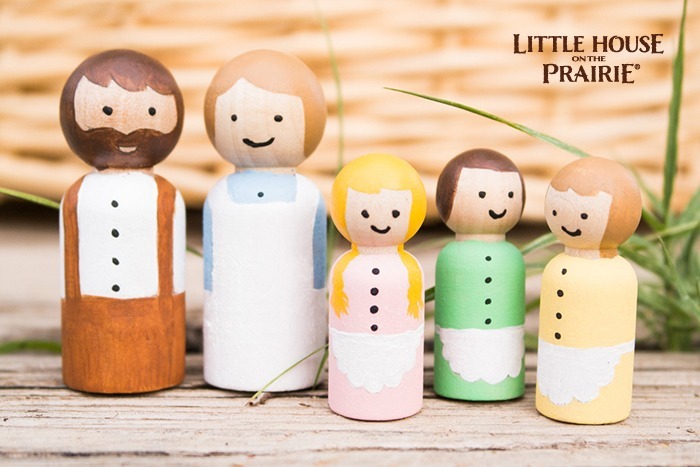 These Little House on the Prairie® Peg Dolls perfectly capture the simplicity of an earlier time while still staying true to each character. I went super basic with my painting technique, but you’re more than welcome to add as much or as little detail as desired. Step 1. 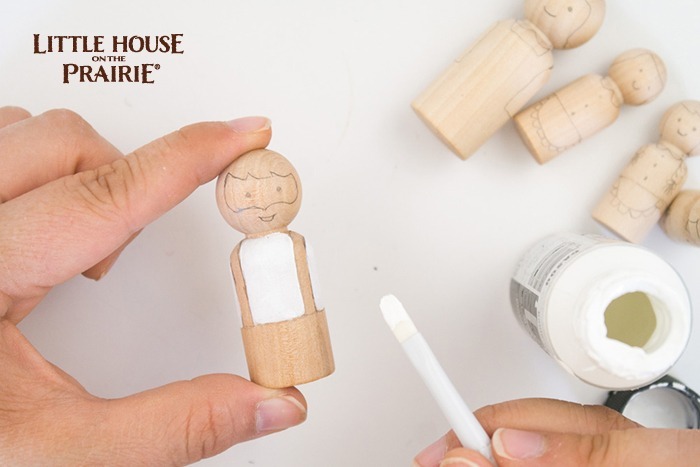 Begin by lightly drawing out the characters on the unfinished wooden peg dolls. If you’re new to painting, I would suggest keeping the drawing as basic as possible. More advanced painters can definitely add more detail. Step 2. 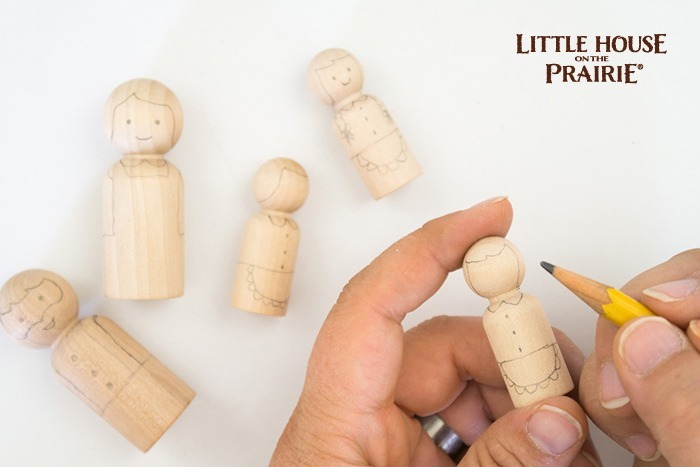 Continue lightly drawing out the characteristics on the peg dolls with a pencil. You can see both sides and details of my peg dolls in the pictures below. Step 3. Begin painting detail with acrylic paint. 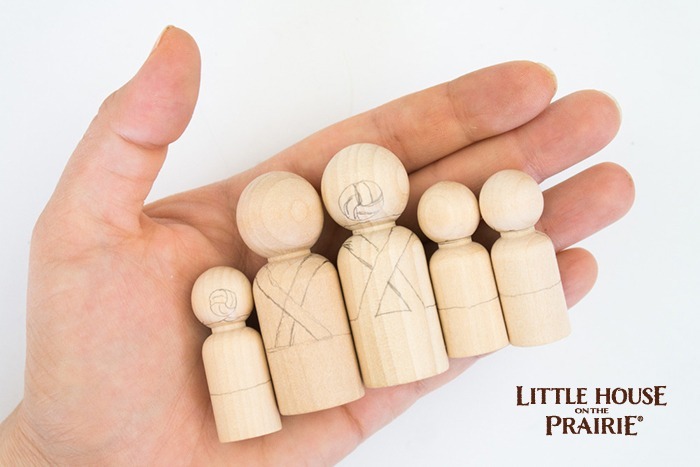 I suggest starting with the larger dolls first to give your hands time to warm up to the smaller, more difficult peg dolls. Step 4. 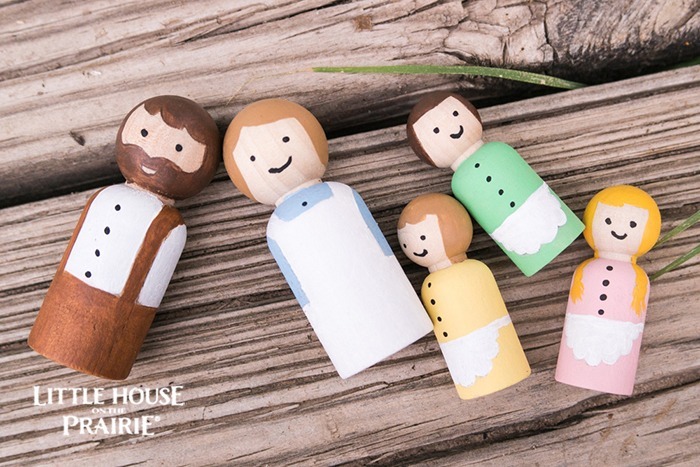 Continue painting all the Little House on the Prairie Peg Dolls until you’re happy with the way they look. Step 5. Use a fine paint brush to add smaller details such as eyes, mouths, and buttons. If you’re comfortable with painting on a small scale, you can always add some miniature flowers to the girls aprons or more detail to their hair. Totally up to you! Step 6. 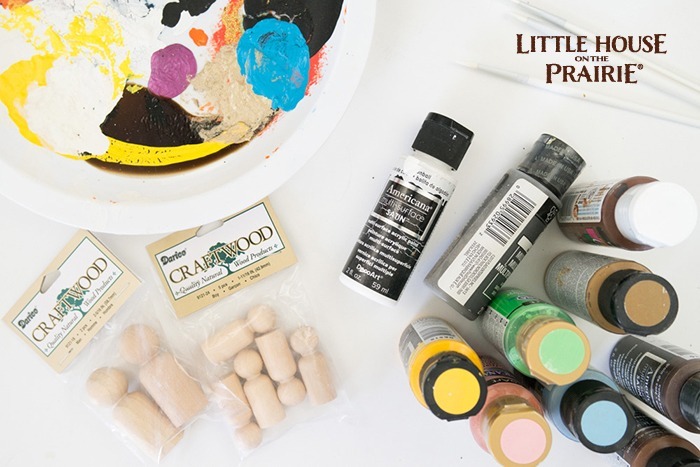 Depending on how much play and wear you think these little peg dolls will be getting, it may be a good idea to add a couple layers of spray varnish to protect the paint from chipping. Make sure to apply light coats of the spray varnish and to allow each coat to dry completely before adding another. 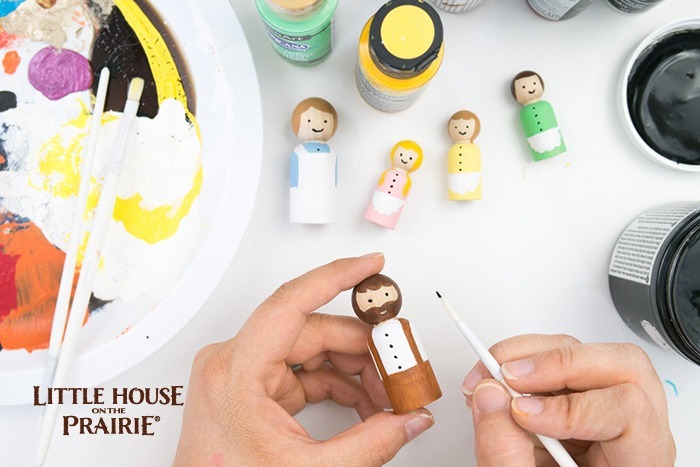 Hope you have a wonderful time making and playing with these Little House on the Prairie Peg Dolls! 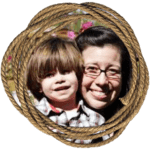 They are absolutely perfect for bringing the magic of Laura Ingalls Wilder’s stories to life for little children. 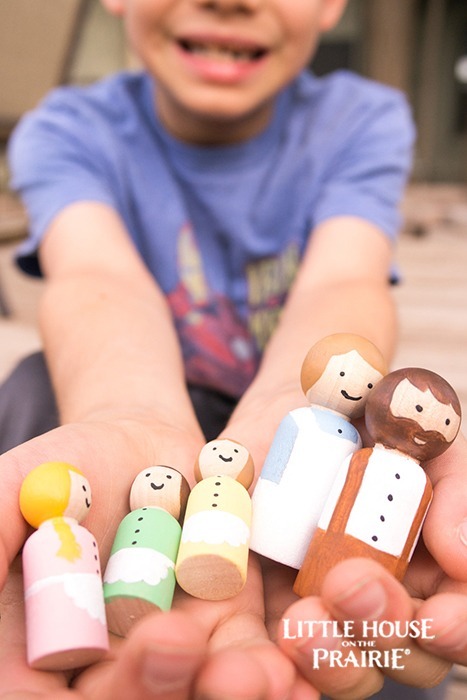 Love the wooden peg dolls! Very cute! I am going to try copying your design for my daughters prairie style birthday party. I’m hoping to use it for the cake with a miniature log cabin I found at hobby lobby! !